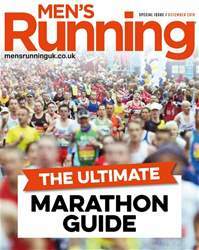 Digital Subscriptions > Men's Running > December 2018 > HAS THE MARATHON LOST ITS MAGIC? HAS THE RISING POPULARITY OF ULTRARUNNING MADE THE 26.2-MILE DISTANCE SEEM A TADLESS IMPRESSIVE? Q Marathons used to seem like an impossible distance, run only by the lycra-clad elite. Now almost everyone has run one. Does that make the marathon seem less magical?